My brother’s birthday was today, so I spent the past 2 days making him a drawing dedicated to the good times playing our favorite game we play together, Garry’s Mod. 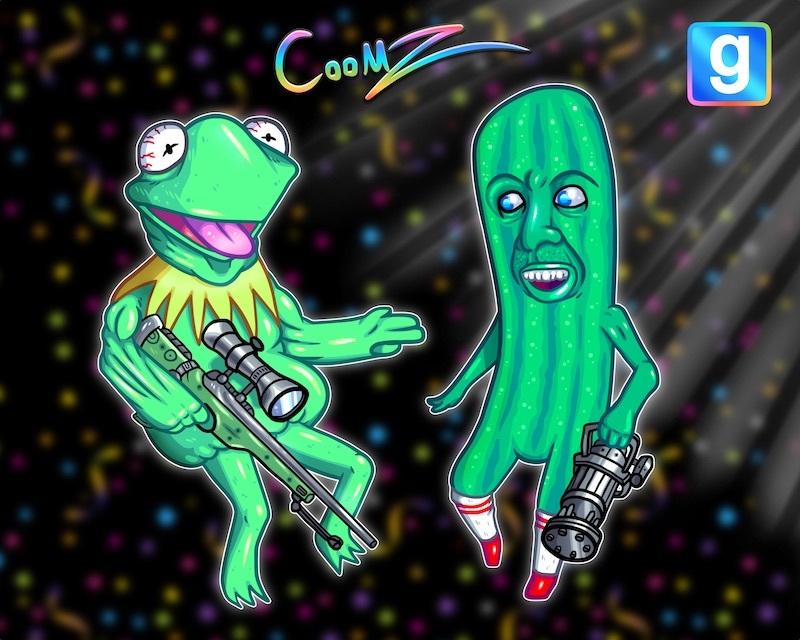 My player model is Kermit the frog and he plays as Picolas Cage. It’s an inside joke mostly between me and him so it’s kind of hard to explain how much the game and these characters mean to us. But anyways, me and him have a lot of good times playing with each other on Garry’s Mod, so this picture is dedicated to him.